First, concrete is a porous, heterogeneous composite. Its pores or capillaries aid in the adhesion of the floor topping. Adhesion is improved via the use of highly penetrating primers, preferably of the lowest possible viscosity. The greater the depth of penetration, the better the adhesion will be. But concrete porosity alone does not produce adequate surface profile. Second, mechanical adhesion is achieved in the concrete substrate by roughening or profiling the concrete. 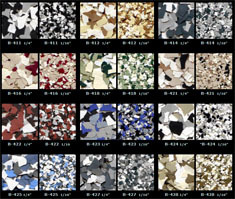 The peaks and valleys formed by roughening the concrete provide an anchor pattern to which the floor topping can bond. This profile can be created by mechanical methods such as scarifying, air abrasive blasting, water-jetting, milling, and shot blasting. Acid etching is also used to roughen concrete surfaces. Proper preparation of the substrate to be coated is often the most critical step in achieving long term coating performance. This crucial step is often misunderstood, trivialized, out-sourced or omitted completely by others in the industry. Vanguard has the tools and equipment to prepare your substrate properly to conform with NACE, SSPC and ICRI standards. We use a variety of preparation techniques including shotblasting, scarification, diamond grinding, ultra-high pressure water jetting and acid etching. Our expertise allows us to achieve the required level of preparation while minimizing the negative impact to the work area. Shotblasting works much like sandblasting. A blast wheel spinning at high speed throws steel shot at the concrete where it profiles the floor. A vacuum system then draws the shot and concrete dust off the floor. The heavy shot is recycled and the dust is draw into the vacuum. Shotblasting is far and away the most common form of preparation for horizontal concrete surfaces. Shotblasting has the ability to effectively prepare rough and eroded concrete as well as brand new concrete. It’s cost per square foot is one of the most cost effective. 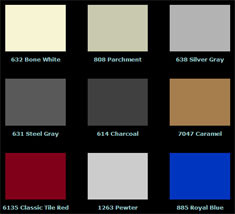 As a dry process it allows for immediate application of coatings shortening installation times. Individual machines are capable of preparing 1,000’s of square feet per hour and this can be compounded by using multiple machines for large or time sensitive installations. 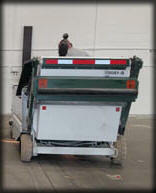 Shotblasting may remove too much concrete especially with soft concrete or inexperienced operators. Some older machines leave overlap marks requiring extra material or fill. 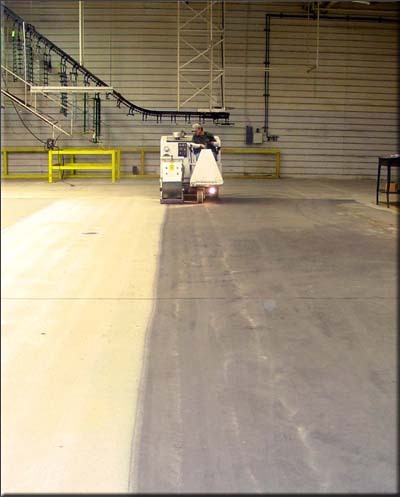 Shotblasters may have difficulty removing flexible or soft materials as well as high build coatings and resurfacers.